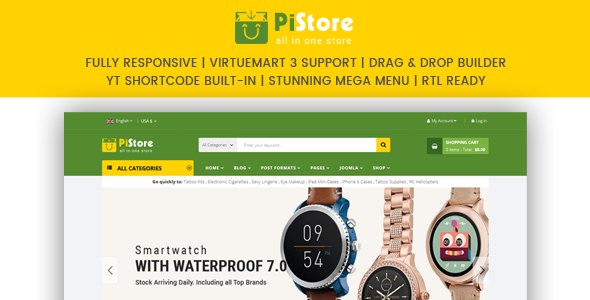 Sj PiStore is a fresh and stunning premium responsive & multipurpose VirtueMart 3 template. 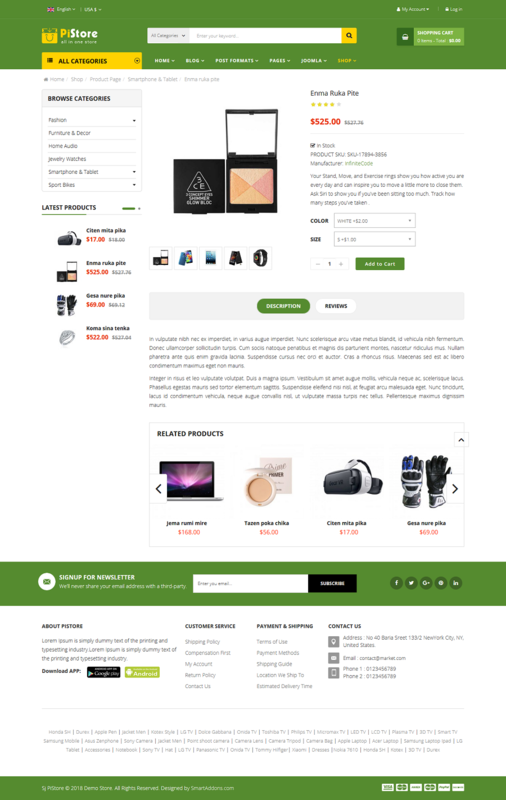 With Sj PiStore, you can quickly create an intuitive eCommerce website without much coding knowledge. Get inspired in our demo – hope, you will enjoy it.